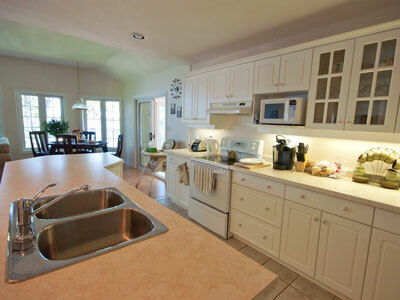 Welcome to our Sandbanks vacation home, an ideal family vacation rental located in the heart of Prince Edward County on Sheba's Island, minutes from Sandbanks Provincial Park (2k, 1.6 mi) and 3 amazing beaches. Sheba's Island overlooks Sandbanks and is connected to the mainland via a causeway (road), so you get the best of both worlds: an island living experience but you can drive there! In the summer of 2010, we found out what many already know, that Prince Edward County is one of the most beautiful areas anywhere, with amazing people, hospitality, and so much to offer. We are booked for the Summer of 2017 but if you would like to be informed when we begin renting for next summer Click Here to email us or Like us on Facebook to stay in touch. 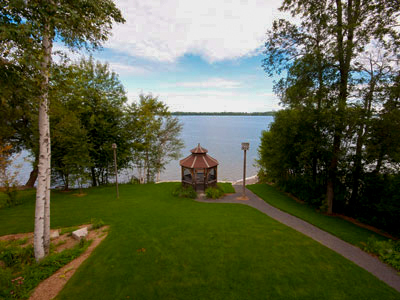 Our bright and spacious 4,500 square foot air conditioned lakefront house is elegantly decorated and fully furnished, and both the main floor and downstairs areas of this backsplit home have stunning panoramic views of the lake and access to the outdoors. We offer a wide range of features and amenities with the focus on children, including a variety of games, bikes, activities, and helpful and practical items for your little ones such as crib, playpen, and high chair. Prince Edward County is located in Southern Ontario about 2.5 hours east of Toronto and has become one of Canada's newest wine regions. 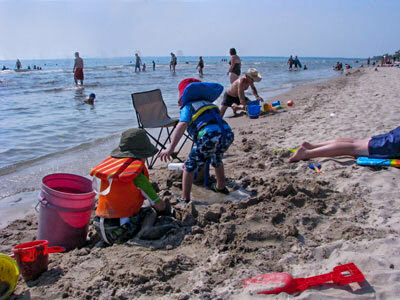 Aside from the 30+ wineries, the main attraction is Sandbanks Provincial Park with it's three gorgeous child-friendly beaches. Our home is located on Sheba's Island which overlooks Sandbanks and is connected to the mainland via a causeway (road).